Abstract: [Abridged] We report the discovery of JKCS041, a massive near-infrared selected cluster of galaxies z=1.9. The cluster was originally discovered using a modified red-sequence method and was also detected in follow-up Chandra data as extended X-ray source. Optical and near-infrared imaging data alone allow us to show that the detection of JKCS041 is as secure, even in absence of the X-ray data. We investigate the possibility that JKCS041 is not a discrete galaxy cluster at z=1.9, and find other explanations to be unlikely. The X-ray detection and statistical arguments rule out the hypothesis that JKCS041 is actually a blend of groups along the line of sight, and we find that the X-ray emitting gas is too hot and dense to be a filament projected along the line of sight. The cluster has an X-ray core radius of 36.6 arcsec (about 300 kpc), an X-ray temperature of 7.4 keV, a bolometric X-ray luminosity within R500 of 7.6 10^44 erg/s, an estimated mass of M500=2.9 10^14 Msol, the latter derived under the usual (and strong) assumptions. The cluster is composed of 16.4 galaxies within 1.5 arcmin (750 kpc) brighter than K~20.7 mag. The high redshift of JKCS041 is determined from the detection colour, from the detection of the cluster in a galaxy sample formed by z_phot>1.6 galaxies and from a photometric redshift based on 11-band spectral energy distribution fitting. By means of the latter we find the cluster redshift to be 1.84<z<2.12 at 68 % confidence. 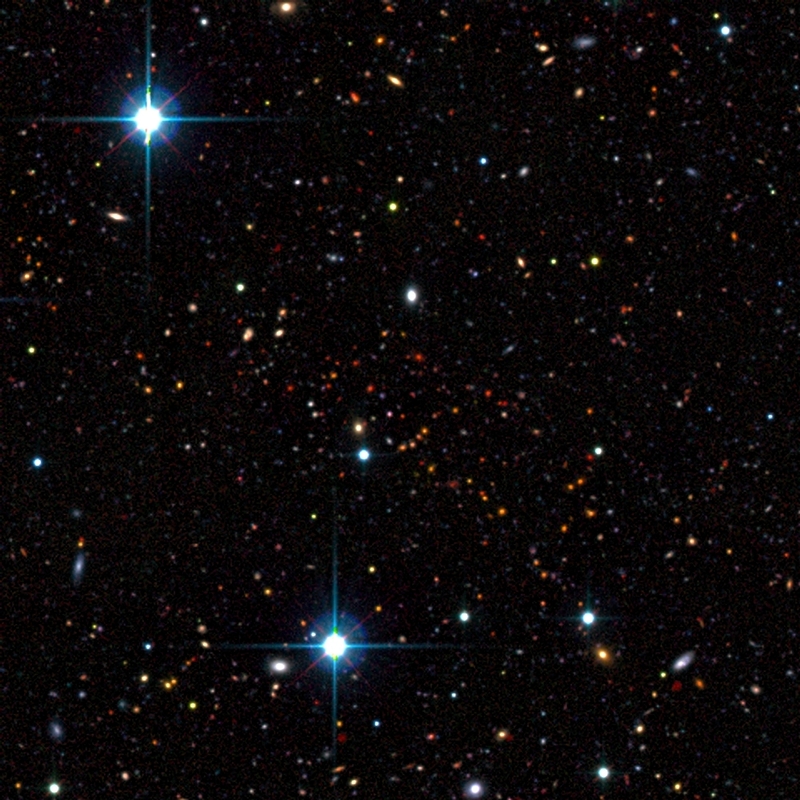 Therefore, JKCS041 is a cluster of galaxies at z=1.9 with deep potential well, making it the most distant cluster with extended X-ray emission known.